Located on Pembroke Street lower, Matt The Thresher has been one of Dublin’s favourite places for fish and seafood dishes for a while now. It has even attracted some famous patrons such as Michelle Obama and her daughters as well as American chef and food writer Anthony Bourdain. The menu features all the classic fish and seafood dishes you could dream of: Carlington oysters, fish pie, seafood chowder. It isn’t cheap but if you feel like treating yourself it’s definitely a place to go for a decadent seafood platter. 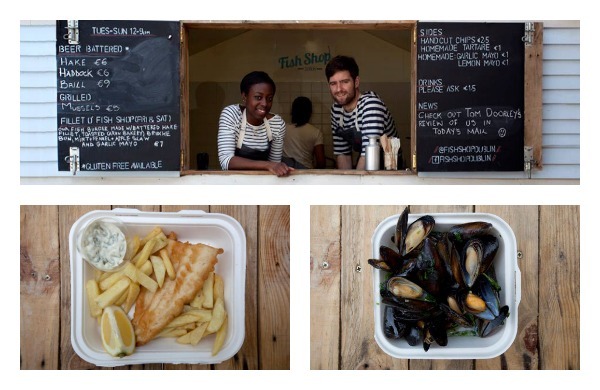 For something more casual head over to Blackrock Market where you’ll find the cutest wooden shack in Dublin - Fish Shop. Owned by a young couple, Fish Shop is open from Tuesday to Sunday (Thur-Sun in winter), where they serve amazing beer battered fish and grilled seafood. The menu changes regularly and it’s inexpensive and fresh. 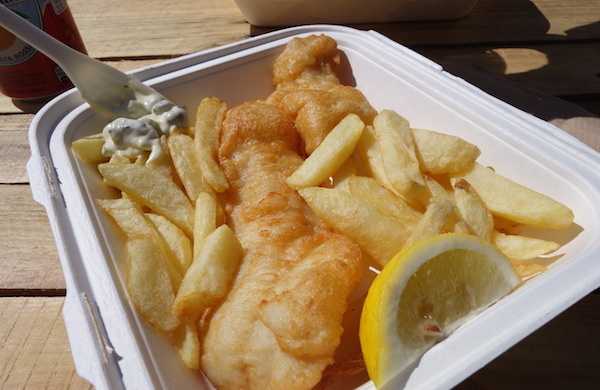 Their fish and chips are an absolute delight and the surroundings are perfect for some casual grub al fresco. Opened in early 2014, Super Miss Sue on Drury Street is one of the newest additions to Dublin’s list of seafood restaurants. Super Miss Sue is owned by John Farrell, owner of Dillinger’s, 777 and The Butcher’s Grill. Like its sister restaurants it’s hip and slick. SMS Cervi is the take away part of Super Miss Sue serving fish and chips, scampi and a very good fish finger buttie - probably the trendiest fish and chips in Dublin! The café has an oyster bar, shellfish platters and a multitude of fishy dishes you can chose from. Well worth a visit. So, how about some lobster? If you crave for some while shopping in Dundrum Town Centre, you should probably head to Rock Lobster. The menu mainly features steaks (many types of cuts) and lobsters (of course). Prices are quite reasonable with options such as the whole split lobster for €24 or a traditional main lobster roll served with fries and a side salad, also for €24. There is also an extensive choice of other fish and shellfish dishes like the moule frites, Dublin Bay prawns and Irish Razor Clams. 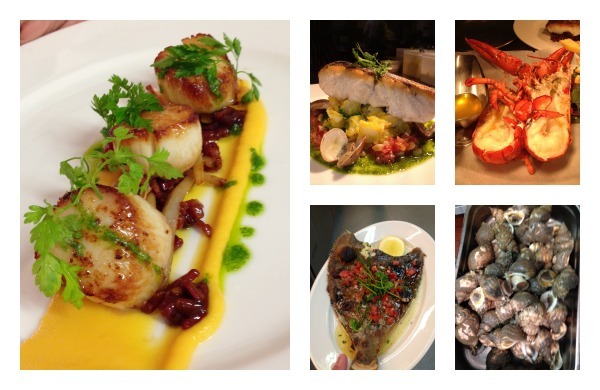 Find deals for seafood restaurants in Dublin.